Any horse can benefit from a simple strength-training routine. Here's how to safely build your horse's muscle power. Strength training for horses isn't just limited to heavy draft breeds competing in pulling contests. Any horse in any discipline can benefit from a strength-building regimen, and any rider can put together a systematic, safe program to muscle up her mount. Try these simple tips to increase the muscle power of any horse. Stamina has to be in place before strength can be increased, so put some endurance-building mileage on him before beginning power trips. Undulating terrain is the best equine gym, as a horse must lift his own body weight with each stride when traveling up- or downhill. Start with jaunts up gradual slopes, and increase the grade and length of time spent in "climbing" as the horse becomes more muscular. If your horse has a particularly weak side, negotiate the ups and downs on the diagonal, with his weaker side toward the crest. The "high" side of the body has to exert more muscle to maintain balance. Flatlands riders can use man-made "hills," such as dry drainage ditches, in place of natural terrain; or they can practice jumping or pulling in a harness (drags and harrows, not easy rolling carts), even if their horses don't otherwise use those skills. Monitor your horse during his strength training: Heavy blowing or trembling muscles indicate that he needs a break, Next-day soreness tells you that you pushed him too far; scale back next time out. Strength develops slowly, but after a few weeks of power tripping, the first changes will become visible as increased muscle mass along the spine and greater tightness and trimness of the belly. Your horse's ridden performance will improve as well, with a greater reach in his gaits, more bounce in his jumps and increased control in his turns. This article first appeared in EQUUS issue # 231. Two horses lost their lives on the cross-country course at the spring Red Hills International Horse Trials in Tallahassee, Florida, in 2008. The deaths of both horses, Jonathan Holling’s Direct Merger and Missy Miller’s Leprechaun’s Rowdy Boy, were ultimately attributed to heart-related problems. Certainly it wasn’t the first time an eventing horse had died on course or from heart trouble. But those two losses were, perhaps, the pair of straws that finally broke the camel’s back and helped spark a research effort by the U.S. Eventing Association that continues to this day, aimed at preventing such tragedies. 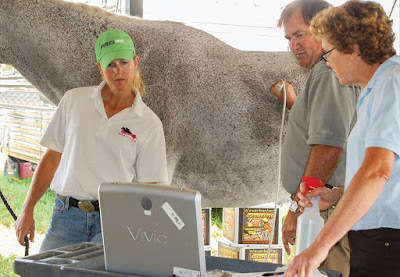 Not long after Red Hills, the USEA officially launched its Equine Cardiopulmonary Research Group, led by Catherine Kohn, VMD; A. Kent Allen, DVM; Mark Revenaugh, DVM and Eleanor M. Green, DVM. The CRG was formed, she adds, in an attempt to apply science to the question of what was causing these unexpected deaths. And, since 2008, members have been working toward an answer. CRG members started the project by looking at horse deaths on cross country. They identified two categories: fatalities attributed to injuries from falls and fatalities where the horse did not appear to be injured. CRG research has focused on this second group. Next, researchers reviewed deaths of human athletes in competition and found that cardiac problems were often implicated. “So we decided to start [our study] by looking at the cardio and respiratory health of horses competing in eventing,” says Dr. Kohn. At the 2009 Plantation Field Horse Trials, the researchers ran a pilot study, completing electrocardiograms (ECG) and heart and lung ultrasounds on 20 horses the day before and immediately following the cross-country test. An ECG records the heart rhythm and heart rate. An ultrasound, or “echo” study, uses ultrasound waves to make images of the heart muscle and the portion of the lungs closest to the skin. One type of echo study, an echocardiogram, specifically makes images of the heart muscle as it moves so that the size, shape, quality of the motility of the heart muscle and the functioning of the heart valves can be assessed. The researchers carried out several other studies, including one looking at levels of cardiac troponin, a protein released when the heart muscle is damaged. In this study, researchers collected blood samples from horses at rest and following the cross-country test at two competitions. The result of those initial field studies was the creation of this hypothesis: Horses may develop transient cardiac arrhythmias (an irregular heartbeat) while on cross country. In this condition, the heart rhythm breaks down, making it difficult for the horse to pump blood efficiently. In some instances, these arrhythmias may compromise exercise tolerance and could lead to falls, injury or fatalities. How to prove or disprove the theory? “We needed to look at the electrical activity of the horses’ hearts while they were competing to try to answer the question, ‘What’s happening on the field of play?’” says Dr. Kohn. In fact, it took several years of trial, error and modification to develop an effective system. Two CRG members, Doctors Ric Birks and Mary Durando, had engineered a recording system that they were using successfully on racehorses. They made some modifications to this system for use in event horses during competition. The recording system consists of electrodes in the area of the girth and on the horse’s back with wires connecting the electrodes to the recorder itself. The recorder is secured inside a small pouch sewn to a saddle pad. 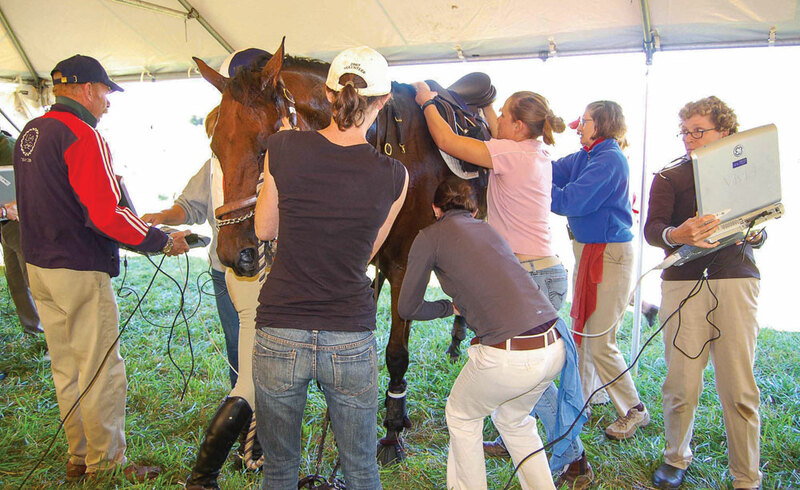 Researchers affix the system before the horse goes to the cross-country warm-up, and the system remains in place until after the cross-country test. The researchers are then able to record the electrical activity of the heart at rest, during the less-intense work of the warm-up, during the cross-country test itself and during at least the early few minutes of the recovery period. Allison, who also participated in a field study at the Plantation Field CIC** in 2015 aboard Cascani, attests to the advancement of the system. “The equipment used to gather information has improved significantly in the past years, allowing for more accurate information-gathering,” she says. 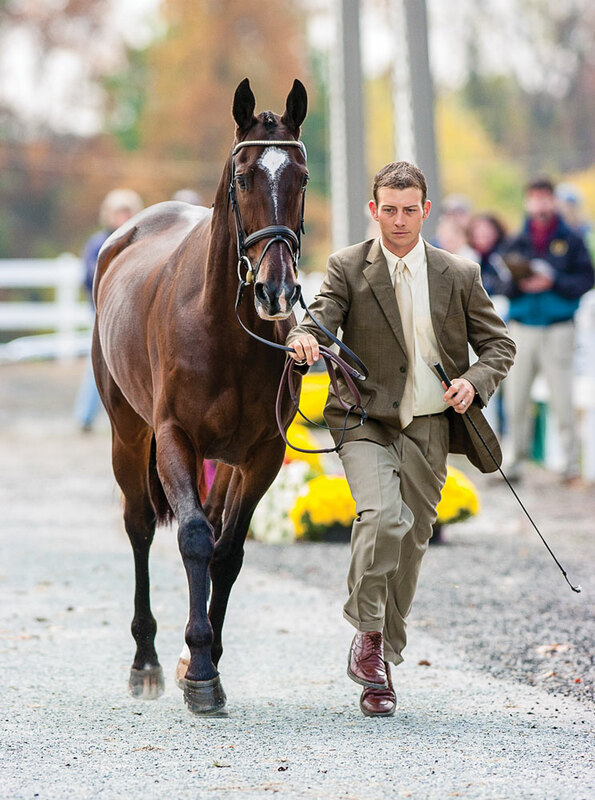 By the end of 2015, CRG members had conducted studies at the 2014 Waredaca Horse Trials, the 2015 horse trials at the Horse Parks of New Jersey and Fair Hill, the 2015 Plantation Field CIC, and the 2015 Fair Hill Three-Day Event. Participants—all volunteers—have included approximately 65 horses competing at Beginner Novice through the CCI*** level. Researchers briefly examine each recording at the event and inform riders if significant heart irregularities are detected. “Our next task was to determine how many of our recordings were of sufficiently high quality to be interpretable,” says Dr. Kohn. For that step, two to four veterinarians specializing in equine cardiology make a preliminary review of each of the recordings. Those that pass this screening test are then examined in detail by the same veterinarians. Since the group’s key researchers live on the East Coast, studies to date have taken place in the East for the sake of convenience and to minimize expenditures. The group hopes to extend their studies to the Midwest and possibly the West Coast this year. “We want to give more riders an opportunity to volunteer and thus ensure that we have as broad a population of eventing horses in our study as possible,” says Dr. Kohn. One thing Dr. Kohn doesn’t expect the studies to include: recordings from horses who collapse on course. Luckily, such incidents remain uncommon, she explains, making it extremely unlikely statistically that the group will capture recordings from such a horse during one of the field studies. Dr. Kohn is also willing to share her hopes: “I hope that we don’t find significantly abnormal heart rhythms or occult heart disease in any recording from our 100 horses. If we don’t find evidence of unsuspected heart disease, then we can conclude that recommending specialized screening tests for heart disease in apparently healthy horses is unlikely to be helpful in preventing equine fatalities during competition,” she says. In addition, she notes, the group would be able to say that transient, potentially performance-limiting heart-rhythm abnormalities didn’t occur in the study population. That would suggest that such abnormalities are unlikely to be common in healthy competition horses and unlikely to be an important cause of collapse or fatality during competition, she explains. While Dr. Kohn notes that this phase of the research won’t answer all the questions about why fatalities may occur in horses who are competing, it will provide essential baseline data that’s not currently available. “Defining the range of electrical activity of the hearts of healthy horses in competition is essential for interpretation of potentially abnormal exercising ECGs in eventing horses,” she says. While the study moves forward, Dr. Kohn has advice that event riders can act on today. Most important, she says, know your horse’s heart. Ask your vet to listen carefully to the heart. If your vet finds an arrhythmia or a heart murmur, make sure he or she does a comprehensive cardiac exam, including an echocardiogram. Jonathan Holling sat aboard his horse, a 1996 Irish Thoroughbred gelding, Direct Merger, in the cross-country start box at the Red Hills International Horse Trials in March 2008. He had every reason to expect the horse to turn in a clean, fast round, just like the year before. But this time, something went wrong. But for Jonathan, it wasn’t enough to feel lucky. He’d seen other riders not walk away. 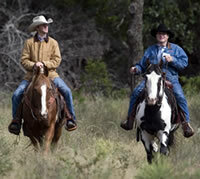 He wondered what if it had been a kid in the saddle—would a smaller, younger person have been unhurt? And most of all, the question haunting him was why his healthy, athletic horse had suddenly died under him. 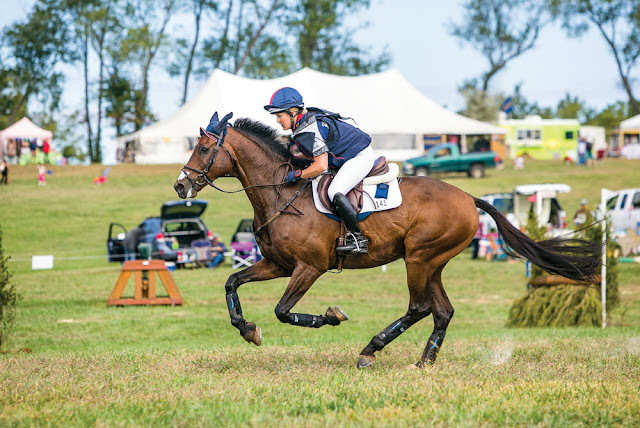 When Jo Whitehouse of the U.S. Eventing Association approached Jonathan about the fledgling idea of putting together a cardiopulmonary research group, he knew he had to throw his support behind it. “This was a way to focus on getting something positive out of it all,” says Jonathan. I couldn’t continue to ride horses and event at the top levels if I was not doing something to help understand why this could happen. Ultimately, he hopes the study will yield a better understanding of why incidents like this occur—maybe allowing riders to identify risk factors sooner as an aid to prevention. Jonathan Holling and his wife, Jennifer, run Holling Eventing, a full-service training, lesson and sales business based at Willow Run Farm in Ocala, Florida. Jonathan has competed through the CCI**** level at events including the Rolex Kentucky Three-Day Event, Burghley Horse Trials and the Nations Cup™ in Boekelo, the Netherlands. He has also coached the USEA Area IV young riders team to two gold medals. This article originally appeared in the May 2016 issue of Practical Horseman.